Professor Tolkien’s time at the great university city of Oxford proved a valuable source of inspiration and information for ‘The Hobbit’ and ‘The Lord of the Rings’. Using photographs both new and old, as well as specially authorised quotations from his works, this absorbing ebook charts Tolkien’s life in Oxford, from his arrival as an undergraduate of Classics in the Michaelmas term of 1911, his first post-First World War job at the Oxford English Dictionary, and professorship of Anglo-Saxon at Pembroke College, to his death in September 1973. 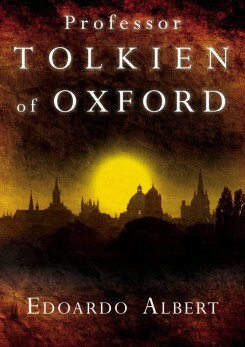 Presented in convenient ebook format, this is an essential companion for anyone wanting to find out about Tolkien’s days at Oxford, and the relationship of one of England’s most awe-inspiring cities to one of the twentieth century’s most remarkable writers.